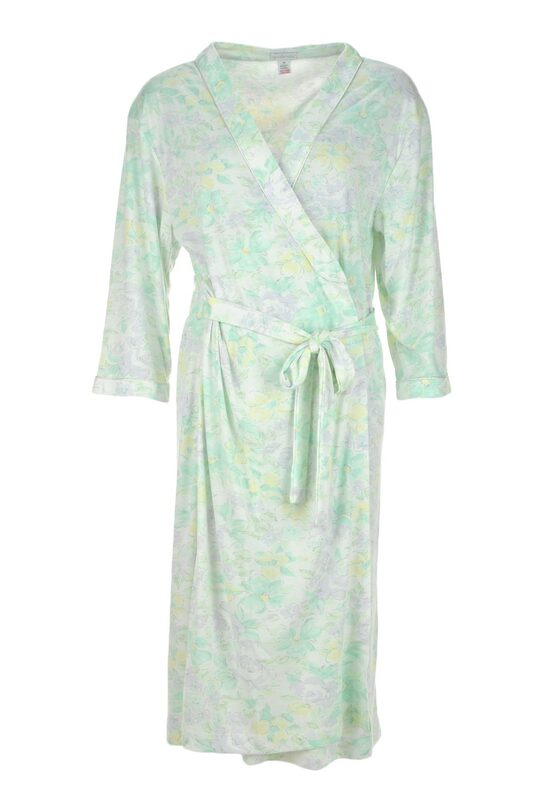 A perfect robe to wear with the matching pyjama set or nightdress to keep out the chill on early mornings or when relaxing in the evenings. 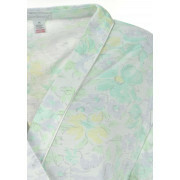 The dressing gown from Slenderella is made from soft jersey fabric and has a feminine pastel floral print throughout. 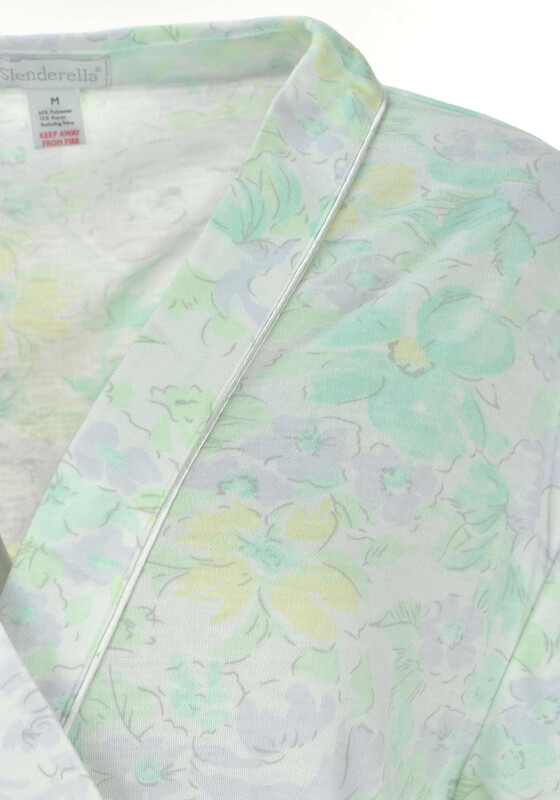 An elasticated panel around the waist and a fabric belt completes the look.